The Omega Speedmaster Professional is perhaps best known as the First Watch Worn on the Moon. It achieved that status after being chosen as the Official timepiece Flight qualified for all manned space missions by NASA. 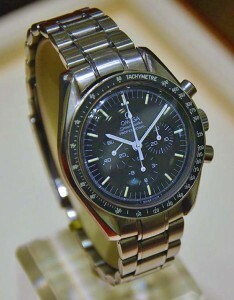 Collectors have long yearned to own an actual Omega Speedmaster worn in space or perhaps even on the lunar surface. 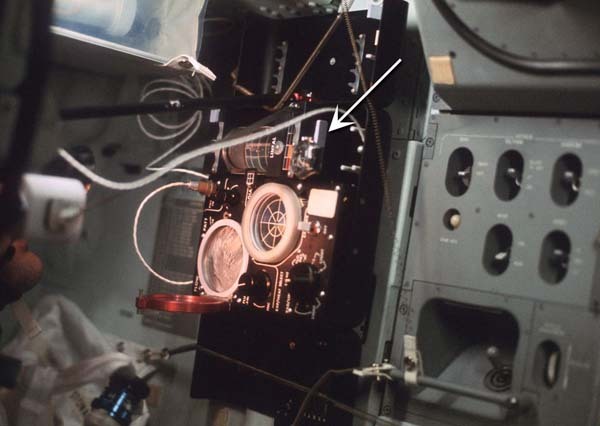 The problem has been that any watch issued to an astronaut remains property of the US Government once the mission is concluded. As such the chances of an actual flight tested Speedmaster finding it was in to public hands remains a truly scarce possibility. Well until now. On December 16, 2015 Christie’s Auction house in New York held a themed auction focusing on the iconic Omega Speedmaster. The highlight of the Christies Speedmaster auction was a 1968 Omega Speedmaster Professional used on the Apollo 17 mission, the last manned trip to the moon. 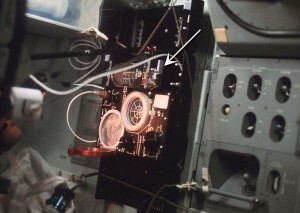 I make the distinction that this watch was used on the mission as it was not worn by the astronaut but instead used as a timer for an experiment on board. That subtle difference is the only reason Ron Evans was allowed to keep it as a souvenir following his return to Earth. The three other Omega Speedmasters on the mission were sent to the Smithsonian for archival storage. The actual watch that was sold in the auction was an Omega Speedmaster Professional reference 145.022-69, which Omega archives show was manufactured in September 1970. The watch is reportedly the first model used by NASA in manned space flight that used the then recently revised calibre 861 movement. The earlier models used date back as far as the mid 1960’s and used the highly revered calibre 321 column wheel movement. With an undisclosed pre-auction estimate, when the hammer fell on lot 15 the high bidder had agreed to pay $245,000 for this unique piece of Horological and American Space history. Somehow fittingly, the buyer of the watch was a previous owner, it’s manufacturer. Omega had bought it to display in their domestic museum in Bienne, Switzerland. 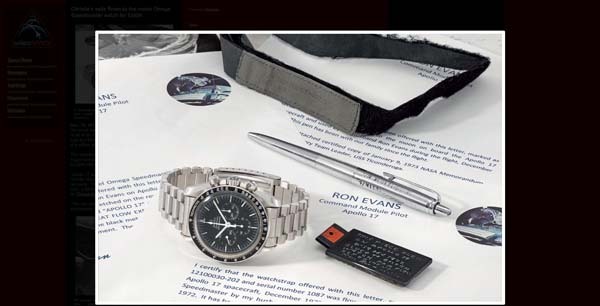 Posted in Blog posts and tagged apollo 17, auction, Christies, NASA, new york, omega, Professional, ron evans, Speedmaster.